As our taxi wound its way down the wide avenues of Santiago, our driver, despite his rudimentary English, regaled us with his vacation stories. “Viña Del Mar! Very good! Nice beach! Nice food! I go on weekend,” he announced excitedly, as he fumbled in his pockets while stopped at a red light. As the light turned green, he sped off, one hand on the steering wheel, the other scrolling through photos on his phone. He seemed not to notice my gasp of alarm as he turned towards us in the backseat to flash his phone. “See? So nice!” he exclaimed, as he kept scrolling through photos of himself squinting up at the sun, the cobalt waters of the Pacific stretching out behind him. Perhaps it was because we questioned the sanity of a man who would happily go through his phone while changing lanes on a freeway, but we took his recommendation with a pinch of salt. However, it appeared that every guide book and traveller to Chile corroborated his opinion. 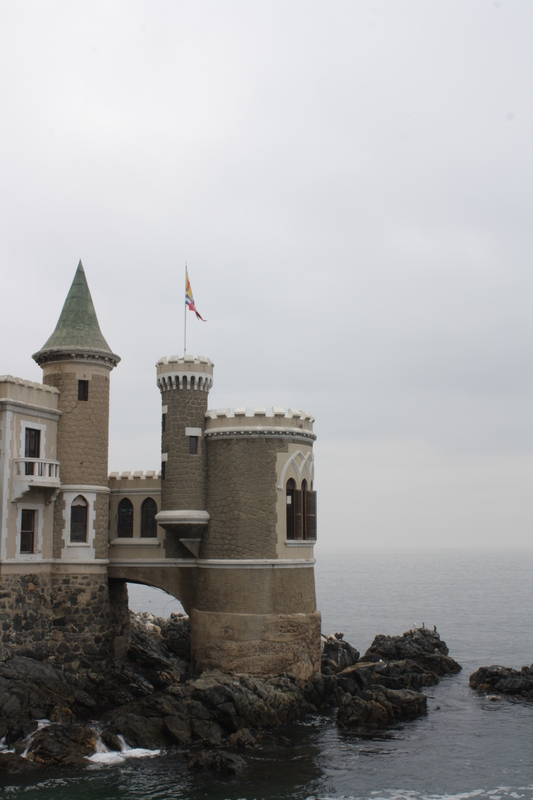 Viña Del Mar or “Vineyard by the Sea” is only a 25 minute train ride up the coast from Valparaíso – an easy day trip. It is a popular weekend haunt for Santiaguinos. Emerging from the train station, I was in for a shock. Wide boulevards stretched out in all directions, bordered by neat rows of palm trees. The plaza we’d stepped onto was pristine and well-kept. The air smelt fresh. It was a far cry from the chaos of Valparaíso. 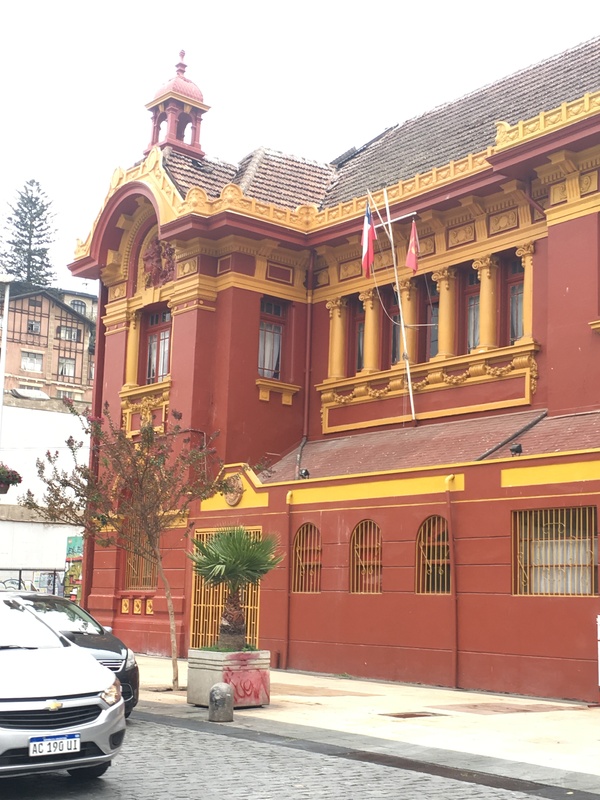 Viña did not have any major tourist attractions to draw us there. But it did offer us a welcome opportunity for a bit of simple relaxation. Travel brochures advertise it as Ciudad Jardín (Garden City). And indeed it appeared to be so. We hadn’t even gone a few paces and we stumbled upon the magnificently manicured Parque Quinta Vergara. Within seconds of stepping through the gates, I was overcome by a sense of tranquillity. Elderly couples strolled along the gravel path. Teams of gardeners tended to the plants under the weak, winter sun. Despite all the activity, it still felt peaceful. Even the lawnmower sounded muted amidst the chorus of birdsong. I wonder if I would’ve viewed it differently had I not come from the bedlam that is Valpo. The city also plays host to a number of other lush parklands and botanical gardens. Tourists flock to take selfies with the Reloj de Flores (Flower Clock) at the foot of Cerro Castillo. It’s a working clock, made entirely of flowers, identical to the L’horloge fleurie in Geneva. Perhaps if I appreciated flowers more I would’ve cherished the visit instead of watching the tourists with their selfie sticks in mild bemusement. My toddler, however, revelled in the discovery of an actual playground and play equipment that wasn’t in ruins. As a fine connoisseur of slides and open parkland, he was in heaven. Walking down the promenade I was greeted with a modest-sized castle, jutting out from the rocks below. Castillo Wulff mimicked the architecture of the castles of Europe, but lacked the size and history. I was far more impressed by the giant albatrosses making a ruckus on the rocks. Looming over Castillo Wulff, is Cerro Castillo, a hilly neighbourhood with pretty mansions and fantastic views. No wonder the President of Chile chooses to retire here in the summer! It comes as no surprise that Viña Del Mar is renowned for excellent seafood. We’d done our research and the restaurant, Donde Willy came very highly recommended. A restaurant who’s name literally translates to “Where’s Willy” doesn’t quite scream gourmet dining, but it certainly lived up to the reviews. 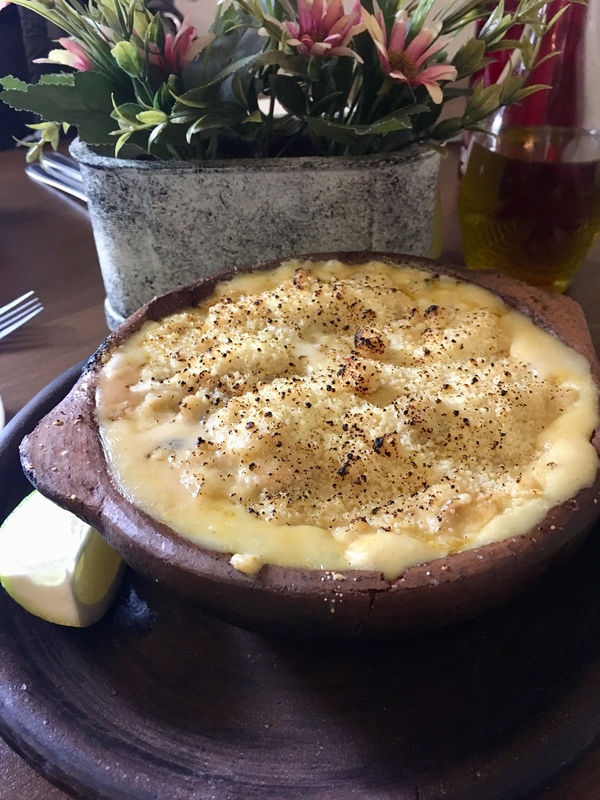 We finally had our first taste of Chile’s famous Pastel de Jaiba, a rich, creamy crab casserole with a cheesy crust and Machas à La Parmesana, baked clams with parmesan. An unlikely discovery, however, was a fuente de soda called Cevasco. Chile’s fuente de soda are typically local fast food joints selling hotdogs and burgers. We were drawn to the mid-morning diners filing into the nondescript restaurant, and the size of the vienesas or hotdogs. They came loaded with mayo, cabbage and smashed avocado and were about a foot long. Next stop: Hanga Roa, Easter Island!